A humble beginning on 5th April, 1971 with a few students, a couple of classrooms and a chapel housed in a small building. 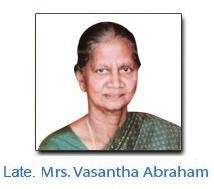 The institution was founded by Mr. G A Abraham and Mrs.Vasantha Abraham with a mission to impart quality education to the children of this region. 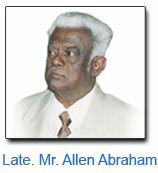 Mr. GA Abraham an able administrator and a visionary, is a retired Indian Army Officer and Mrs. Vasantha Abraham a veteran teacher and an eminent educationalist. Today, Sacred Heart School is a family of over 4000 students 200 staff members. The school is located in an lush green surroundings in the township of Moga in the Indian state of Punjab , is hardly 3 hours drive from the Amritsar International Airport , and 6 hour drive from New Delhi , the national capital of India . The school campus is spread over 3 acres with modern buildings and an excellent educational infrastructure. The school is managed by Sacred Heart Educational Society, registered under Societies Act XXI of 1860, S. No. 369 of 1980-81, Chandigarh. The Board of the Management of the Society comprises eminent educationalists, academicians and social activists. The vision of Sacred Heart School is that all students will become life-long learners equipped with the skills, knowledge and attitudes to succeed as productive citizens in a local, national and global society. To provide a conducive environment for a future-oriented, holistic education, anchored in a rigorous bilingual academic programme, for children of all nationalities. We nurture students to be independent life-long learners imbued with sound moral values who are respectful and responsible, and who rise to the challenges of life creatively and enthusiastically in an ever-changing world. Walk as Children of Light.